We appreciate your desire to help JesusOnline Ministries reach more people with the truth about Jesus Christ. For every dollar you invest, up to 20 people can be reached! 100% of your donations are used for outreach programs because JesusOnline’s board of directors funds the cost of all administrative and fundraising expenses. We easily reach people in many areas that are highly unsafe for traditional missionaries. Our articles and downloadable resources gain entry to many closed countries in a cost effective and secure manner. There are no printing or shipping costs, customs restrictions are avoided, and content may be viewed in privacy. Our websites reveal persuasive evidence about the person of Jesus Christ, leading to a complete and compelling gospel presentation. We provide ongoing study and discipleship to those who desire it through our email newsletters (currently with more than 50,000 subscribers) and by providing website visitors with personal follow up to their comments and questions by our Discipleship Pastor and his team. Your tax-deductible donation helps to reach more people like those commenting below. We are deeply grateful for your partnership! To make your donation securely by credit card or bank transfer, click the button below. Note: If you experience any difficulty making a donation, please email us for assistance. If you are outside the U.S. and have any difficulty making a donation through the button above, please try the PayPal option in the column at right. It is not necessary for you to have a PayPal account. 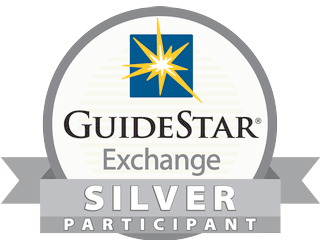 JesusOnline Ministries is a proud member of the Evangelical Council for Financial Accountability (ECFA) and a recipient of the GuideStar Exchange Seal. Select one of the options below to make your donation through PayPal. There are many ways available for you to help others learn about Jesus through the ministry of JesusOnline. If there's something you would like to give, but are unsure how, please contact us and we will explore the options with you.